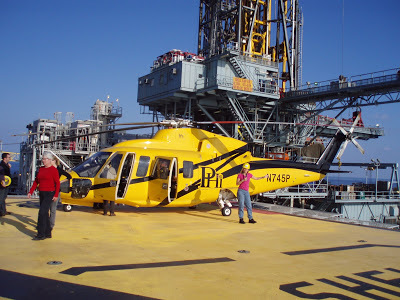 Southern Sales & Services provide a comprehensive range of options and custom specifications for ATEX offshore platform refrigeration and air conditioning systems. 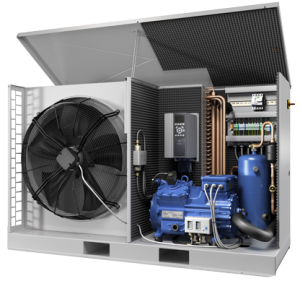 This is backed by our standard key product range of GEA Bock ATEX rated refrigeration compressors, spares, packaged air conditioning, controls and refrigeration controls. 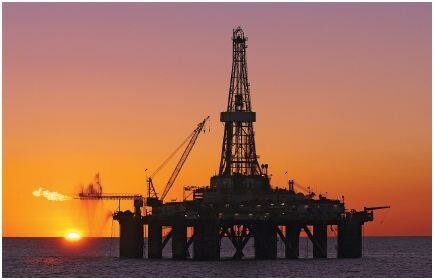 In the production process of oil and gas and especially in case of gas compression, for example storage and transport of liquefied gas such as oxygen, nitrogen, carbonic acid, chlorine and methane, temperature control plays a vital role. 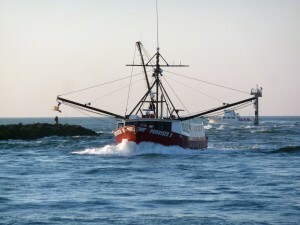 In the oil and natural-gas sector, industrial refrigeration technology assures safety in the process and quality in the product: cooling removes water from the energy medium. This prevents the formation of methane hydrates and enables feeding natural gas through the distribution mains with a constant calorific value. This means that the flames in your cooking stoves and heating systems always burn uniformly. Electrical as well as mechanical devices operated in explosive atmospheres must fulfill what are known as ATEX (ATmospheres EXplosibles) or IECEx conditions. The system builder must use correspondingly labeled, conforming components for this type of use. 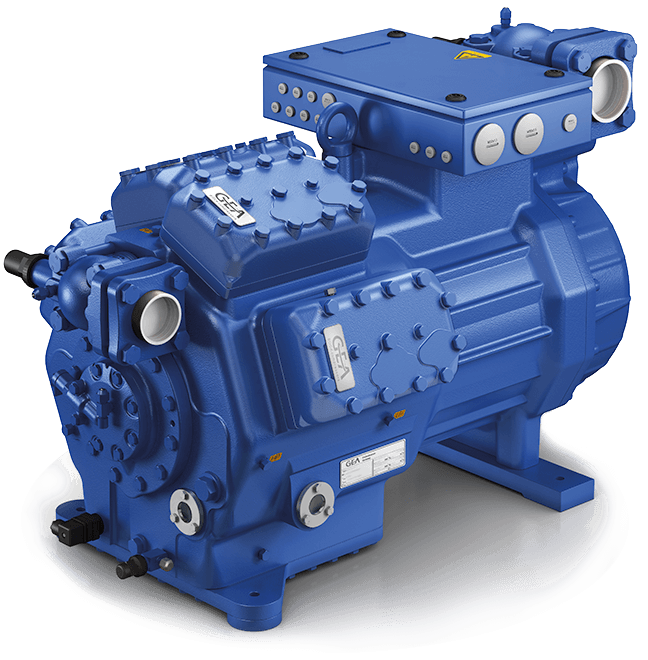 GEA is the first European manufacturer to offer compressors conforming to the ATEX-/IECEx requirements. 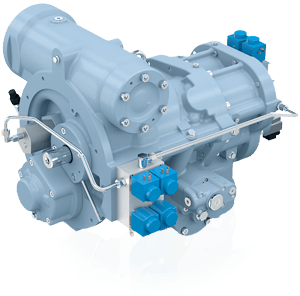 The semi-hermetic GEA Bock compressors of the HG model series are used as the basic compressor for use inside explosion-risk environments. 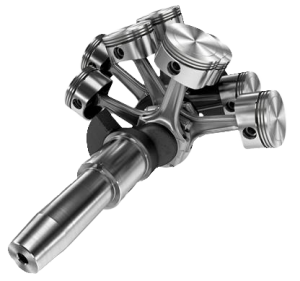 which was previously neglected in many national regulations, as well as mechanical explosion protection. And so today, even non-electric equipment (mechanical components) must be tested or at least evaluated. This directive is therefore oriented primarily on the operators. This ATEX directive took effect on January 28, 2000. Existing workplaces must meet the new requirements not later than the end of the transition period on June 30, 2006. This directive is oriented primarily on the manufacturers. It has replaced the EC Directive 94/9/EC since April 20, 2016. The 94/9/EC directive has been mandatory since July 1, 2003, and does not differ significantly from the now valid directive 2014/34/ EU. The certificates issued under the 94/9/EC directive remain valid without restriction. It therefore makes sense to subject the approval conditions for electrical devices to a worldwide set of rules and so promote global free trade in goods through certificates that are country- or region-neutral. As part of this, the IEC has set up a procedure whose target is precisely this uniformity: The IEC-Ex system. The International Electrotechnical Commission (IEC) is responsible for worldwide standards in the electrotechnical area. IEC publications that discuss explosion protection of electrical devices and systems are worked out by the Technical Committee TC31 and are equivalent to recommendations. The requirements for gas-explosion-endangered areas and for areas with combustible dust are treated in the IEC 60079 series of standards. Worldwide, there are numerous recognized IECEx certification offices (ExCB = certification body) and correspondingly many recognized IECEx test laboratories (ExTLs) that are accredited according to high, uniform standards and are monitored regularly. For IECEx, a certificate is awarded only when the type inspections on test samples have passed and the presence of an effective quality management system has been proved by audit. But there are currently still regional and national approval processes everywhere in the world that have to be considered, such as the ATEX directive in the European Union area or national certifications in the USA (UL, FM). But these national regulations can deviate from these standards. For this reason, the extent to which the IEC standards can be used in the individual countries must be investigated. The IECEx system establishes the process for evaluation and certification of electrical devices for use in Ex areas. All devices of a certification body must be checked, regardless of the level of device protection. The result is summarized in a technical report. At the same time, the manufacturer must have its quality management system checked and audited by a certification body. In combination with the manufacturer’s audit for quality monitoring (QAR), IEC issues a certificate of conformity (CoC) through an authorized certification body. 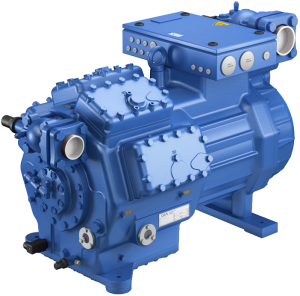 GEA Bock is the first European manufacturer to offer semi-hermetic compressors certified according to ATEX machine category 2. Within the European Union, electrical and mechanical machinery operated in explosive atmospheres must comply with the so-called ATEX (ATmospheres EXplosibles) conditions. 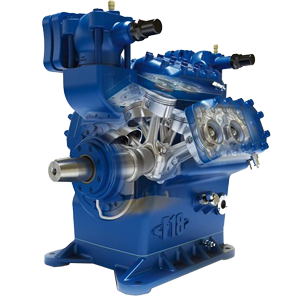 All ATEX compressors are also approved for operation with the current hydrocarbons. 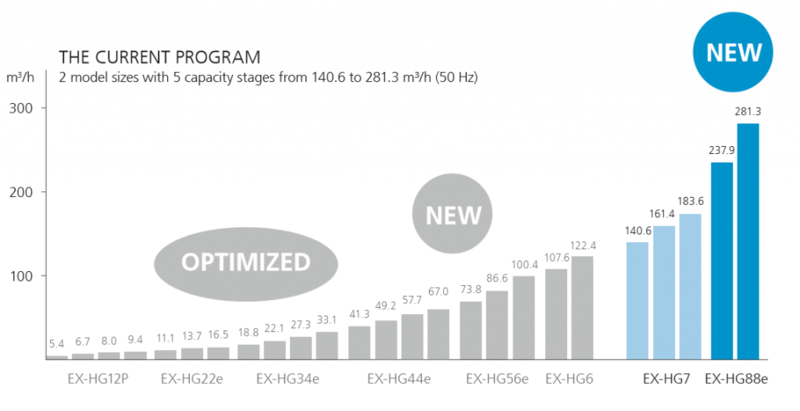 The models in the HG Series are the basic compressors for ATEX versions. 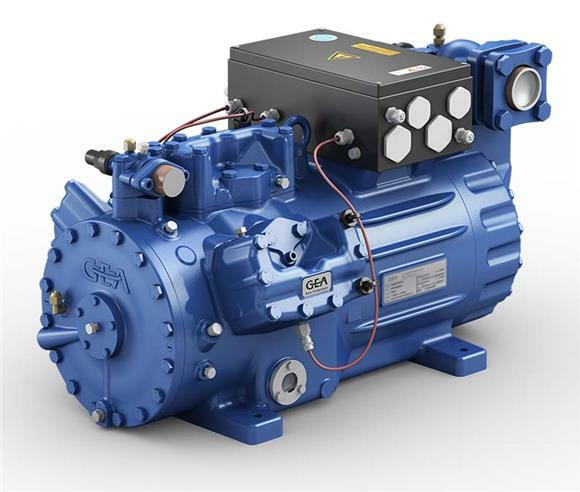 GEA Bock also offers semi-hermetic compressors certified according to ATEX machine category 3.